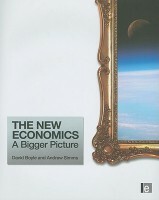 David Courtney Boyle, 1958-, is a British author and journalist who writes mainly about history and new ideas in economics, money, business and culture. He lives in Crystal Palace, London. His book Authenticity put the phenomenon on the business and political agenda. His previous books The Tyranny of Numbers and The Sum of Our Discontent predicted and fermented the backlash against target culture. Funny Money helped launched the time banks movement in the UK.